Panteras de Miranda (LPB) tabbed 30-year old American power forward Trey Gilder (206-100kg-85, college: Northwestern State, agency: Larry Fox Services). He played most recently at Westchester Knicks (D-League) in the U.S.. In 18 games he averaged 9.8ppg, 5.1rpg and 1.4apg last season. 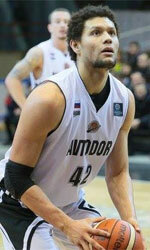 Gilder also played at Austin Toros in D-League that season. But in two games he had just 1.0ppg and 1.0apg. The previous (2014) summer he was tested by Trotamundos. In three games he had 4.7ppg, 4.3rpg and 1.0apg in 2014 season. The last (2014) season Gilder played at Halcones UV Xalapa (LNBP) in Mexican league. In 9 games he had 11.8ppg, 4.9rpg and 1.9apg in 2013-14 season. He also played 4 games in Liga Americas where he had 10.0ppg, 4.0rpg, 2.0apg and 1.0spg in 2013-14 season. In 2008 Gilder was drafted by Colorado 14ers (D-League) in second round (31st overall). He attended Northwestern State and it is his eighth season in pro basketball. Among other achievements Gilder's team made it to the LNBP Semifinals in 2014. 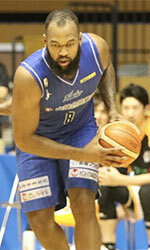 He was selected to D-League All-Star Game back in 2010. Gilder is a very experienced player. He has played also professionally in Australia (Kings), Croatia (KK Zagreb), Dominican Rep., NBA (Utah Jazz and Memphis Grizzlies), D-League (Sioux Falls Skyforce, N.Mexico T., Texas Legends and Maine Red Claws) and Dominican Republic (Caneros de La Romana).